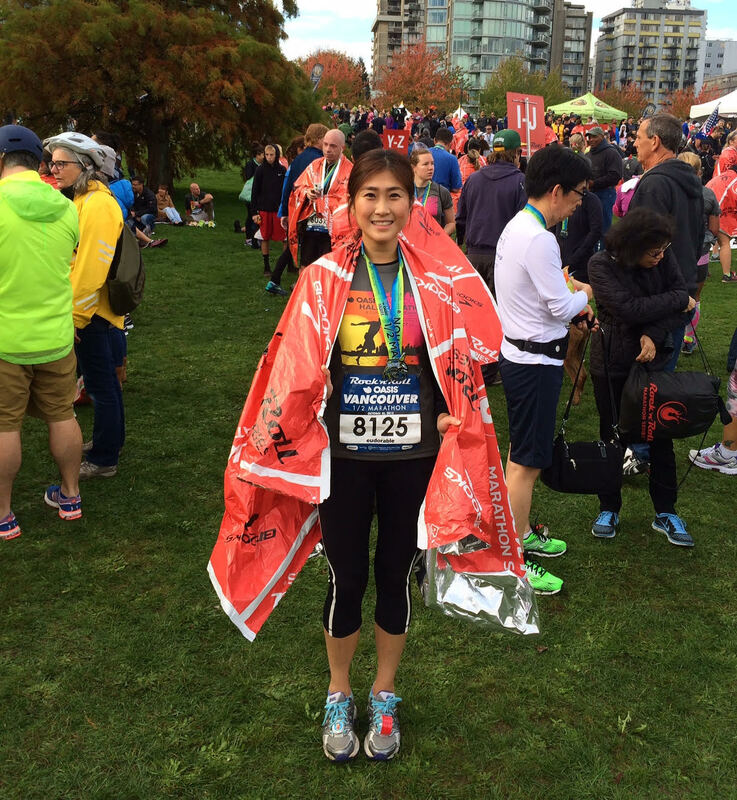 For a limited time only, you can get presale pricing for the 2016 Rock ‘n’ Roll Vancouver Half Marathon. From now until November 1, pay only $50 to run the half marathon and $35 to run the 10K. This is definitely the lowest price you’ll get for the race, so if you’re planning on running it again or want to make the commitment to run it next year, register now! Congrats to all of this year’s finishers, and see you next year! Here are some photos I took before, during, and after the Rock ‘n’ Roll Vancouver Half Marathon (yes, I was that person who stopped every so often for a few seconds to snap photos along the way!). Arrived at the start line around 8:10am. Runners were already getting ready to go!! The much anticipated moment had finally arrived! Running across the Georgia Viaduct, beside Rogers Arena. I love my city! Beautiful weather as we ran beside False Creek. Hills got nothing on us!